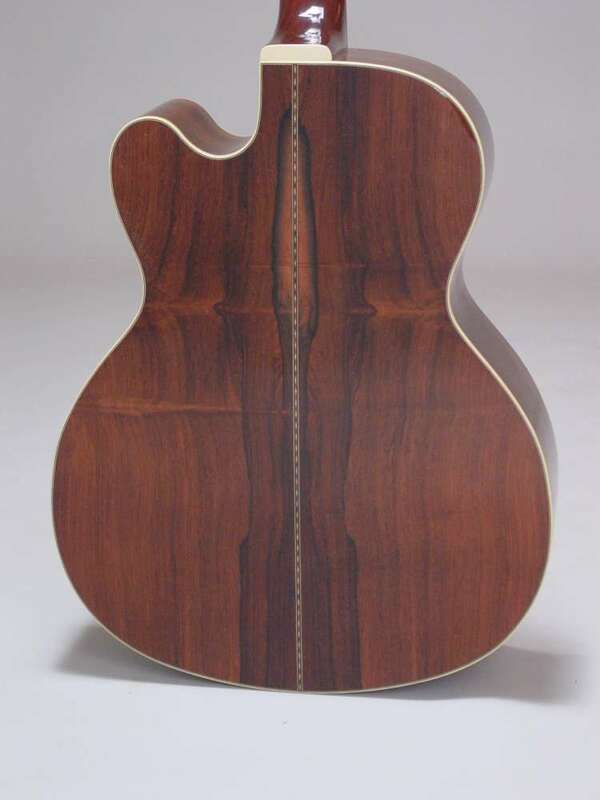 Brazilian Rosewood back and sides with a Sitka Spruce top. 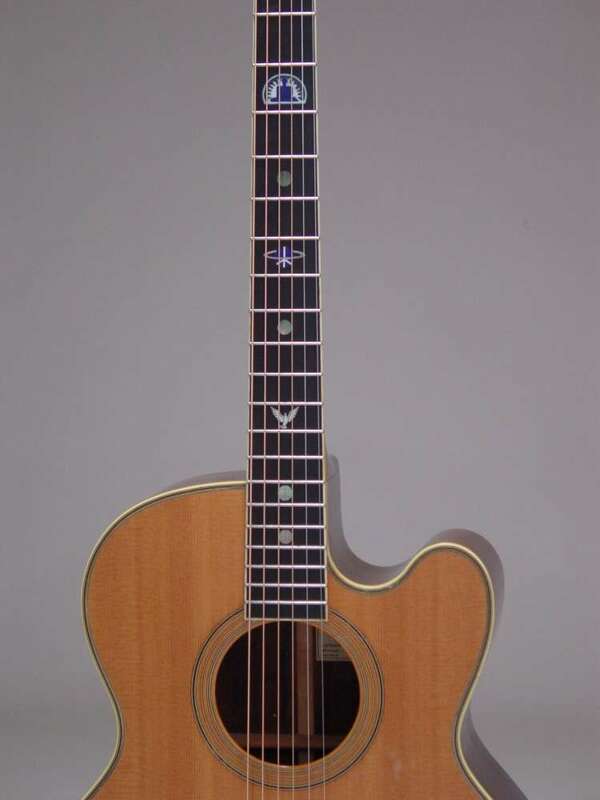 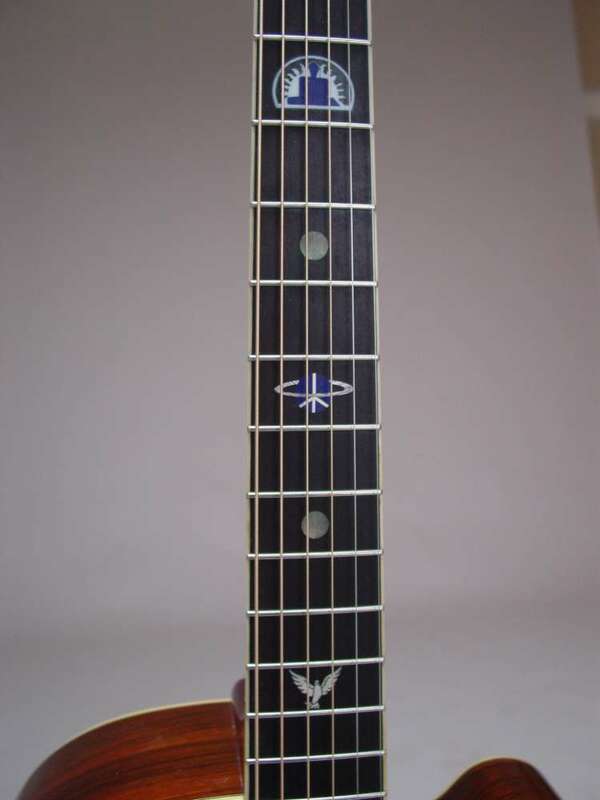 Inlays are peace symbols out of different materials. 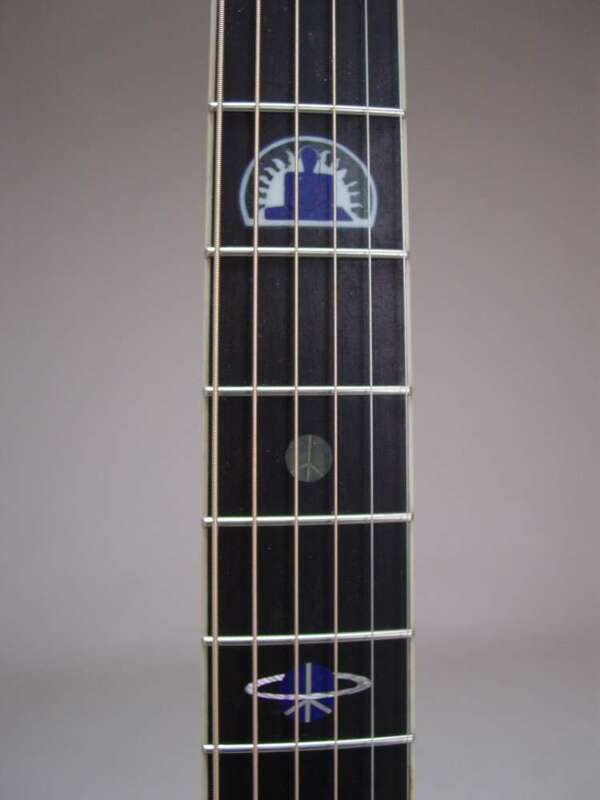 Black mother of pearl, piano key ivory, blue reconstituted stone, and silver wire.